Janet L. Sweenie, age 89, passed away July 26, 2018. She was born in Columbus, Nebraska on July 12, 1929 to the late Arthur and Mathilda (Egger) Heibel. 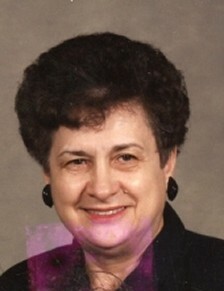 Janet spent many years as a house parent at Iowa School for the Deaf. In addition to her parents she was preceded in death by her husband, William Sweenie; sisters, Shirley Mueller and Eunice Hollman; brothers, Arthur Heibel Jr., Richard Heibel and Daniel Heibel. Janet is survived by her children, Rick Sweenie (Margie), Kathy O’Neal, Janna Boles (David); sisters, Nancy Brandt and Mary Hiner; grandchildren, great grandchildren and a great-great grandchild. Funeral service was 7:00p.m. on Monday July 30, 2018 at the Hoy-Kilnoski Funeral Home. Thanks to Hoy-Kilnoski Funeral Home, Council Bluffs, Iowa and Helen Hovinga for the information.